Wow! 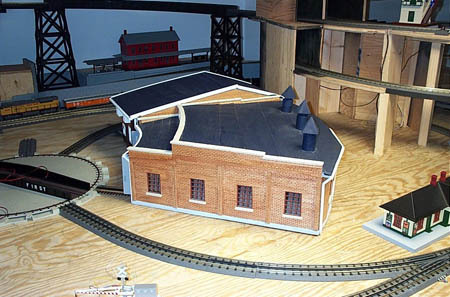 The layout is really taking shape. 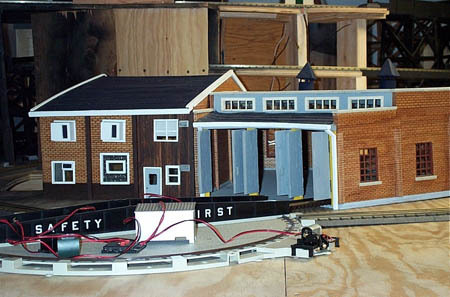 With most of the wiring done the attention shifts to scenery and tunnel building. 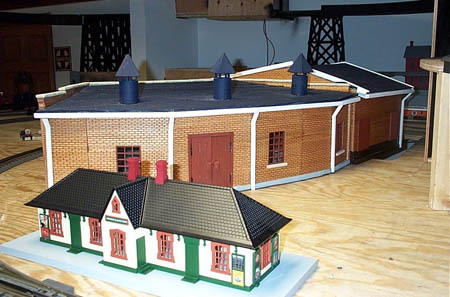 On this page you'll get to see the finished scratch built Roundhouse. Beautiful attention to detail, it makes an exciting center piece to the yard area. Email Rob! Here is a close up shot from the front. 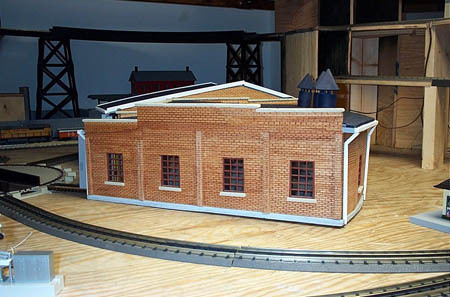 Lights will be added to bring the roundhouse to life! Details from every angle really show the time and work that went into this building. 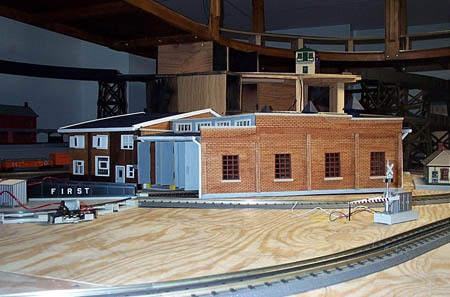 A look from the rear of the building. A layout level view give you an idea of how an approaching engineer might see it. Even from overhead this creates such a cool feel for a massive yard. Looks like the Pratte Yard will be well taken care of.